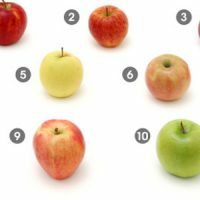 Did you know that there are literally thousands of varieties of apples? That apples are packed full of powerful antioxidants and are proven to help prevent breast cancer AND lower bad cholesterol? That in ancient times apples were thrown at weddings instead of rice? The old adage, an apple a day keeps the doctor away is no joke! Apples are a seriously powerful—not to mention delicious—member of the fruit (and rose!) family. This week, we’re going to honor this everyman fruit. 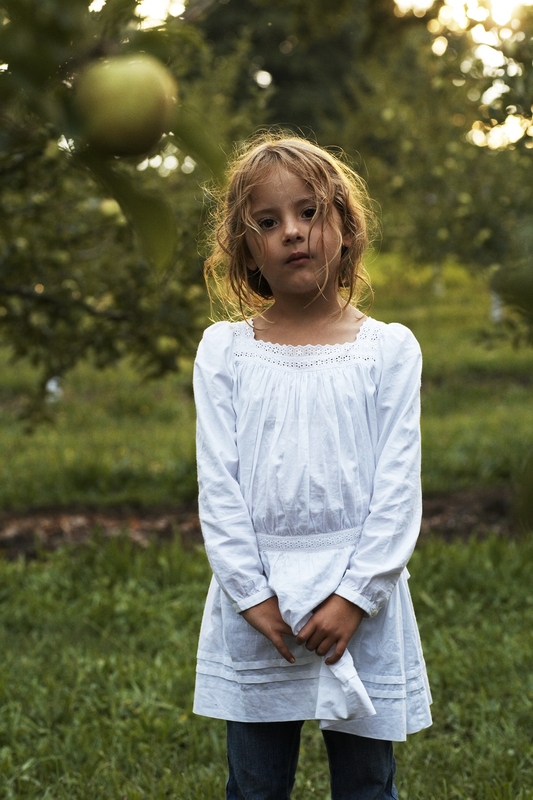 So, let me welcome you to Apple Week here on the Katie Brown Blog where we’re going to celebrate all things apple. 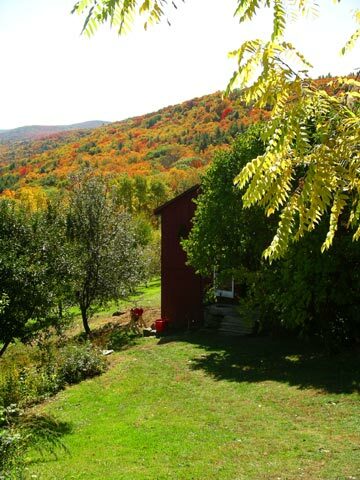 Our home in the Berkshires, Mass is also home to hundreds of apple trees. Makes for an amazing view! I want to kick off Apple Week by paying homage to one of my absolute favorite things: apple cider. I’ve LOVED—no, seriously loved—apple cider since I can remember and it truly is a staple of my fall fare. I’m a firm believer that ciders are best when there are lots of different types of apples in the mix… from fancy heirlooms to good old Macintoshes and Granny Smiths. To sum it up, the more the merrier in any cider mix. And, just like making a soup or sauce, you gotta throw in all the spices to get it right! 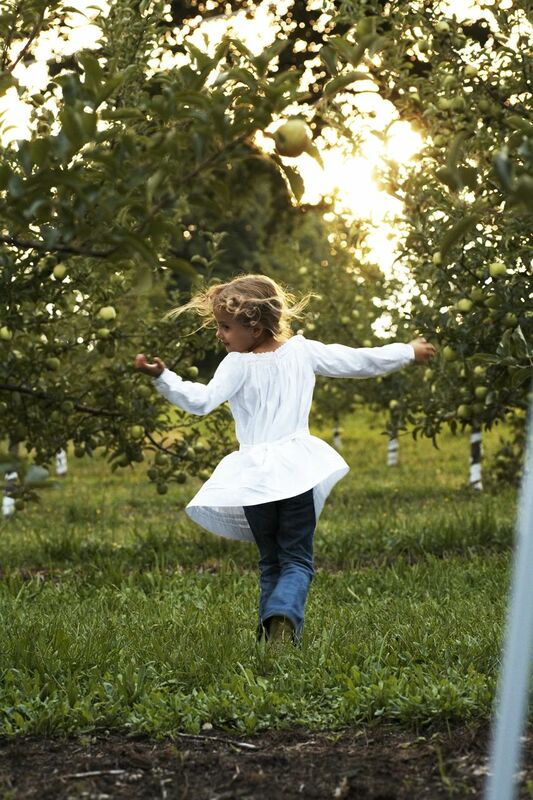 While you can pick up a gallon of apple cider at any grocery store, if you’re feeling bold, try making some of your own— it is perhaps my six year old Prentiss’ favorite fall activity. Prentiss looking like the apple queen she is! With an apple press, some muscle, a lot of apples, and an adventurous spirit you can start having some fun making your own cider. If you or your family is as apple crazy as me and mine are, making cider will not only be a fun treat, it’ll become an annual fall family tradition. Have you ever made your own cider? What apple combos give you the best flavor?